Stacey Hood is my guest on episode 21 of Birmingham Shines. Stacey is in the midst of launching Old Swole Podcast, a crossfit focused show for the over 35 crowd. Episode 21 was released September 3, 2015. Stacey and I talk about the importance of real food, physical activity (doesn’t have to be crossfire, just move), sleep, body image and more. Stacey’s co-host on the Old Swole Podcast is Jay Symms. 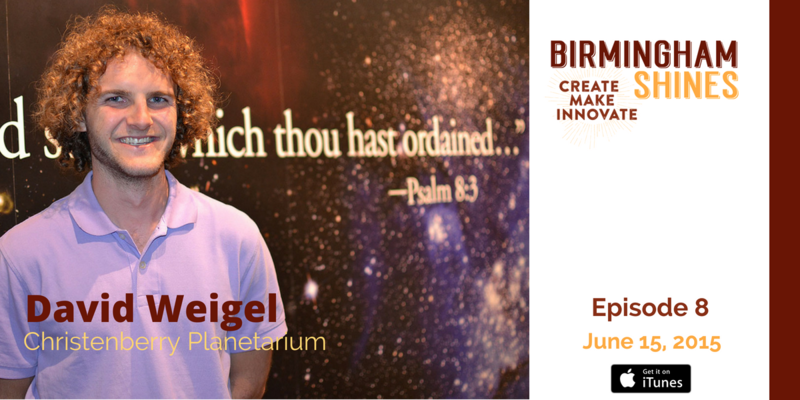 This is a bonus episode of Birmingham Shines, featuring David Weigel, a young educator and explorer who moved to Birmingham in 2014 to become the director of Christenberry Planetarium at Samford University. David shares a bit about his love for space exploration what he likes about Birmingham (the outdoors and the city’s amenities), and some of the topics that will be covered during the Alabama Summer Skies program at Christenberry Planetarium this summer. The free planetarium shows are interactive and open to the public, with seating available on a first-come, first-served basis. The first show is set for June 16, 2015 and that’s why I wanted to release this episode as a bonus, while still adhering to my regular Thursday publication schedule. In addition to astronomy 101, the shows include updates on current NASA missions like New Horizons and Dawn, and the European Space Agency Rosetta mission to the Comet 67P/Churyumov-Gerasimenko. David talks about these missions in this episode of Birmingham Shines, as well as what you can see in the Alabama night sky this summer even if you can’t make it to one of the shows at Christenberry Planetarium. For details about the Alabama Summer Skies shows visit the Christenberry Planetarium Facebook page. You’ll find a link to the page and the complete show notes at http://birminghamshines.com. The regular episode of Birmingham Shines will be published, as scheduled, early Thursday morning. Javacia Harris Bowser talks about founding SeeJaneWrite-Birmingham when she couldn’t find the writing group she was looking for. 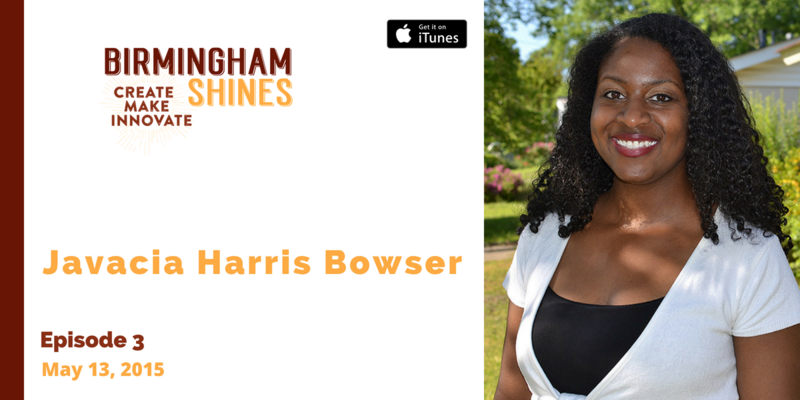 Javacia Harris Bowser, my guest for Week 3 of the Birmingham Shines podcast, is a writer, teacher and entrepreneur. She’s also a successful blogger and founder of See Jane Write Birmingham networking group for women writers that has turned into a business. embarking on her teaching career, Javacia worked professionally as a journalist and she continues to do freelance writing work today. need to take up hang-gliding. Just send an email to someone you admire and don’t know and invite them to coffee. Take a different route home from work. Or maybe do your grocery shopping in reverse order from your usual routine. It’s pretty clear that Javacia is willing to take her own advice. was a simple dinner meet-up on March 24, 2011 at a Mexican restaurant in Birmingham. That meet-up led to a “next event,” which was all about using Twitter to network, connect with others and build a blogging audience. The successful Twitter event led to a blogging workshop and into one-on-one consulting and even bigger events. See Jane Write Birmingham has grown immensely in the four years since that first informal meet-up and today Javacia offers consulting and online courses for women who aspiring writers and entrepreneurs. Find out more about the See Jane Write Birmingham story by listening to episode 3 of Birmingham Shines—if you haven’t already! Where to eat in Birmingham…. Where to caffeinate in Birmingham…. I love Jennifer Dome King’s blog Stellar Fashion and Fitness. It has such a great message about body positivity. I’ll echo this one—I got up before 5 a.m. to start writing this blog post. I’m a big believer in “early to bed, early to rise.” If you know me at all, you probably know how I go on all the time about Ben Franklin! I hope you are inspired by Javacia as I am! 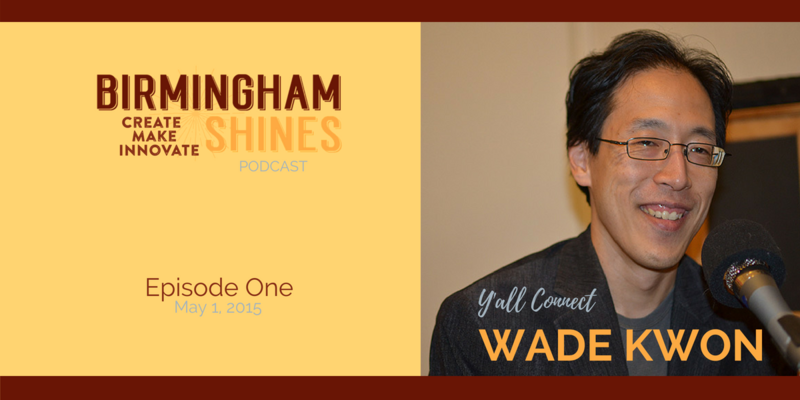 Tripp Watson, Birmingham attorney and business adviser, talks about the entrepreneurial scene in Birmingham and how it’s changed in the years since he began practicing law and advising entrepreneurs. Tripp was recently (2015) named one of the Birmingham’s Top 40 under 40 by the Birmingham Business Journal. We also have a conversation about what it means to “shine” in an entrepreneurial context and whether Birmingham is now shining as a destination for entrepreneurs, makers, and creators. 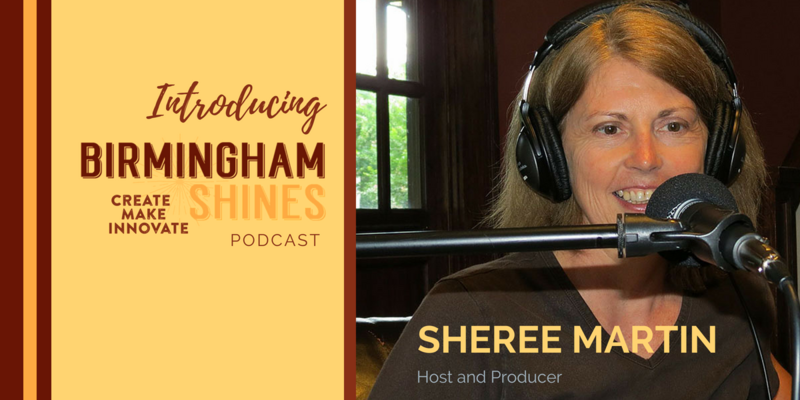 Sheree Martin explains how and why she created Birmingham Shines, the podcast, and the larger Shinecast® brand. Sheree is a Birmingham, Alabama entrepreneur, lawyer and former college professor. She’s also a professional writer and speaker. The Shinecast® media brand grew out of a vision for inspirational and educational media content to help others Discover, Grow and Shine in all aspects of life. The preview episode of Birmingham Shines podcast was published on iTunes April 30, 2015, along with the blog post on the original Birmingham Shines website.